I just upgraded my laptop (Lenovo ThinkPad T540P) to the latest version of Kubuntu – 16.04 with Plasma 5.5.5. Everything was running great until I had an issue with Ark, the archiving program that comes with KDE. It was having an issue unzipping an archive. 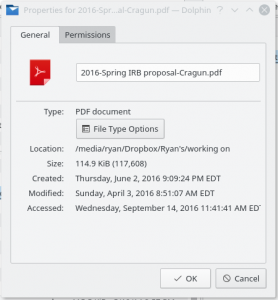 It seemed to unzip the archive, but the resulting file should have been a directory and instead was being recognized by the operating system as a PDF file. In the process of trying to get the extracted zip file open, I set Ark as an option for opening PDF files using the standard approach: right-click on file, select Properties, click on File Type Options, and then add the new option – Ark. I tried doing the same thing here – delete Ark as an option or moving it down in the preferred order list, and it would just reappear when I hit “Apply.” This is definitely a bug in the new Plasma/Kubuntu version. 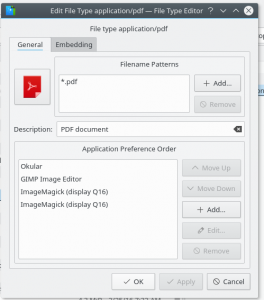 The information in my mimeapps.list file was correct, but it was still having the same problem of Ark being called as the default program to open PDF files. After I did this, the system settings took effect and Ark was no longer the default app called when I tried to open PDF files. This seems like a serious bug in Plasma/Kubuntu that the developers need to fix. 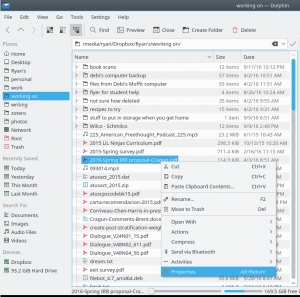 It seems as though the operating system wide options are over-riding the user-specific options for the mimeapps.list, which means you cannot change the default file associations in KDE using Kubuntu 16.04. If you run into this problem, please report it to the Kubuntu/KDE/Plasma developers. Thanks for pointing to this other mimeapps.list, would not have found it otherwise. 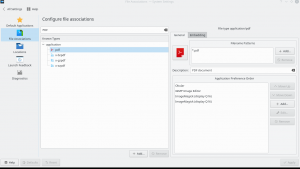 I had a problem with changing the file association order after adding my own program as an association. 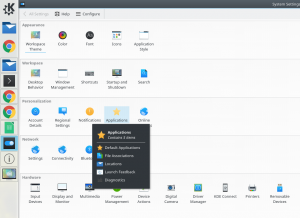 KDE’s configuration always wanted to put it on top. I hope someone has reported these problems. Thanks for the solution! I found the first mimeapps.list, but did not know there was another one. This saved me lots of time!